The latest Kenwood DNX8170DABS is one of a new breed of Navigation/ AV-Receivers. 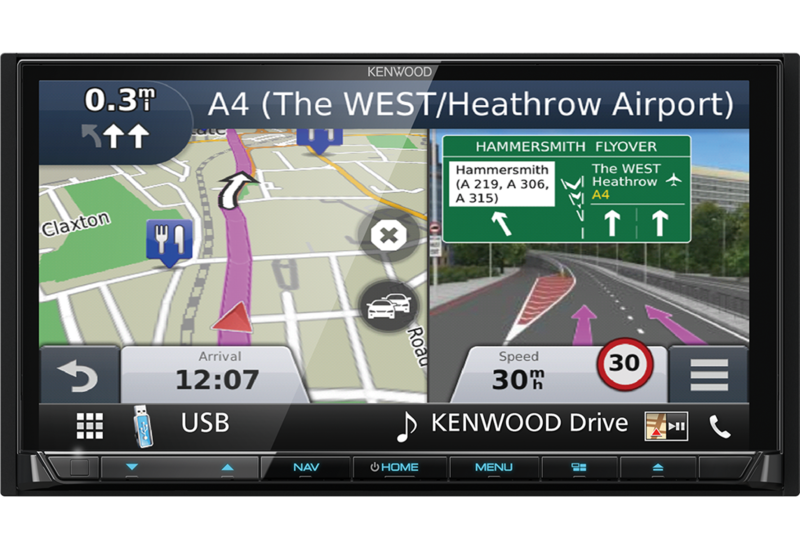 Designed to provide an ideal in-car experience by Smart Driving with Advanced Navigation Features. Advanced connections like Apple CarPlay and Android Auto keep you safe and legal behind the wheel while being totally connected. Select music with Spotify, watch movies with a built in DVD mechanism (only when handbrake is applied and car is stationary) and charge your phone with 1.5A Rapid Charge via USB. The DNX8170DABS is a versatile and feature packed receiver. Two phones can be paired at the same time, useful if you share the car with someone else. 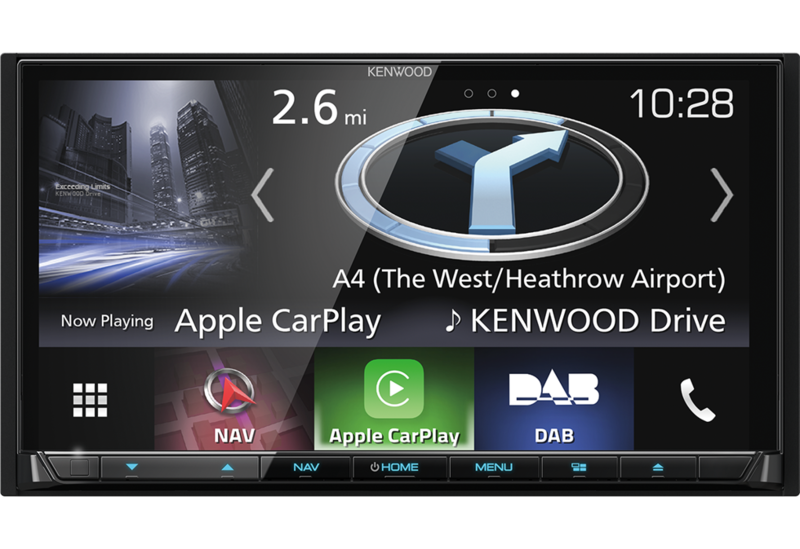 With Kenwood two phones full time connection, both phones can remain paired at all times and the unit will automatically pair when you enter the car. 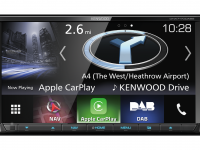 The DNX8170DABS comes with Apple’s CarPlay, the smart and safe in-vehicle interface to operate your iPhone. 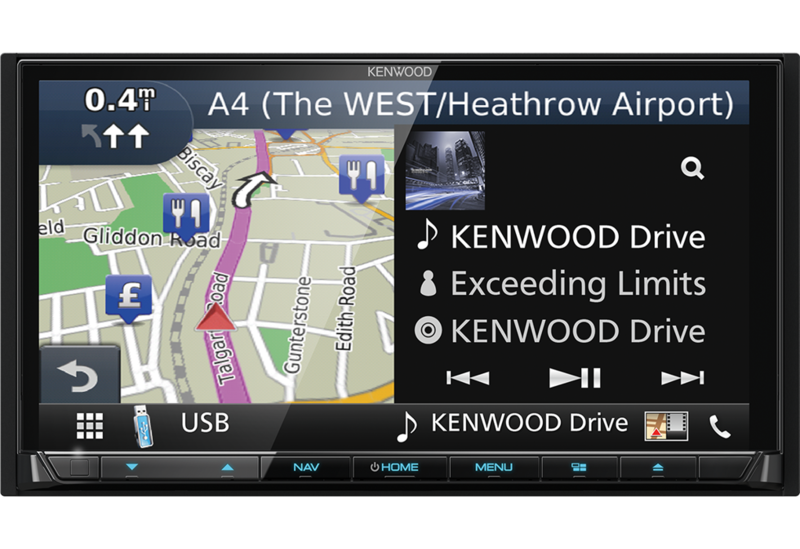 With Kenwood the experience is taken to another level. Simply talk to Siri, or touch the receiver’s display and get directions from Apple Maps and make phone calls, listen to voicemail or send and receive text messages. Choose your favourite music and listen in away that allows you to stay focused on the road. 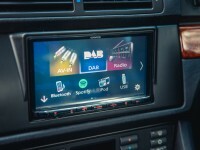 Additionally, Android users can enjoy the the DNX8170DABS with Android Auto. Designed with safety in mind, helping you to minimise distractions and stay focused on the road. The DNX8170DABS combines Android Auto’s intuitive voice controlled interface with a large 7” touch screen and superior sound quality. Making it the perfect complement for your in-car life. Dash cameras are becoming ever more popular on our busy roads, the DNX8170DABS uniquely comes ready to pair with a Kenwood DRV-N520 dash cam. What’s more, the DNX8170DABS is compatible with a wide range of media file formats and an enhanced sound quality control thanks to the built-in 13-band graphic equalizer, digital sound processor and digital time alignment.